Cobb Orthopaedic Surgeon known for his difficult cases reknits Nigerian's bones using a Russian Technique. Samuel Obande remembers reading the newspaper in the back seat of his car. In a blink, his driver swerved to avoid a motorcyclist and wrapped the car around a tree. The crash killed the driver and critically injured Obande. He tried to get out, but his legs were shattered. He had 50 percent tissue loss below the right knee and faced amputation. The prognosis for his left leg, with a severe fracture and bone loss, wasn't good either. Two months later, the 41-year-old is recovering in a Marietta hospital, thousands of miles from where he was injured in Nigeria. He keeps a Bible and a pink envelope, filled with pictures of his injuries and the accident scene, on his bed stand. While he is recovering, Obande lives with his wife, Bridget, and a son at a relative's house in east Cobb. His cousin, Ochebu Onazi Obande, told him about Dr. William Terrell with Pinnacle Orthopaedics. The WellStar Kennestone Hospital surgeon specializes in tackling the most difficult cases of bone reconstruction. Obande, in traction in a hospital in the Nigerian capital of Abuja, searched the Internet for information about Terrell. He was impressed by the surgeon's track record and flew to Atlanta in early February. Obande is paying for all of his medical costs, including $7,000 for the four airline seats he needed for room for a stretcher. Obande, who said he was in the federal house of representatives in Nigeria from 1999 to 2003, worries about recent unrest in his country. He said his government is calling for calm and control after sectarian violence between Christians and Muslims and militant attacks against foreign oil companies. He said getting his health back will allow him to return to his country and find a job. Terrell said Obande is doing well after surgery and a follow-up procedure. He is scheduled to be released from the hospital this week but will return for a skin graft on his left leg. It will take about a year for his injuries to heal, but his surgeon expects his patient to regain complete mobility. "This procedure is not widely practiced, but it is nothing short of amazing," said Terrell. "This is why I come to work every day." The surgeon drilled stainless steel pins the size of small pencils into the broken bone fragments of Obande's left femur. He attached the opposite ends of the pins to the edges of rings connected along a frame encircling the leg. The circular box holds the broken bones in a correct anatomical position. Last week, Terrell inserted a titanium rod more than a foot long into Obande's leg to also stimulate healing. Terrell, 43, learned the Ilizarov procedure, named after a Russian doctor, at a hospital where it was developed in Siberia. He does six or more surgeries a week to repair fractures that have not healed properly, lengthen limbs and correct deformities from congenital defects and trauma. He does not do the surgery strictly for cosmetic reasons. Dr. 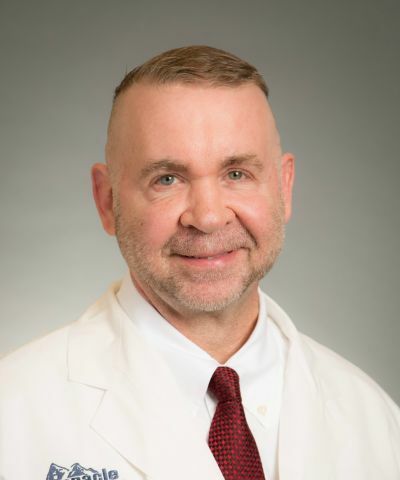 Rob Harris, orthopedic residency program director at the Atlanta Medical Center, said only a few surgeons in the state do the procedure, and Terrell is considered the expert. "This surgery is technically difficult and takes a long time to get results," Harris said. "He has the drive and passion and is able to achieve a salvage in the most difficult cases." Dr. Robert Bruce, a pediatric surgeon at Emory Orthopaedics & Spine Center, knows of four surgeons in Georgia who do bone-lengthening and deformity correction, and one is moving to California. Bruce said he has done 300 to 400 procedures since 1994 and 70 percent were on children. "It's a pretty small pond," said Bruce. "There aren't many of us who do this. There are pitfalls and perils. You have to be able to handle them." Jim Thomas of Smith & Nephew, the company that supplies hardware for the procedure, works with Terrell during the surgeries. He said the surgeon thrives on the difficult stuff, the horrible cases. "He is like the guy who gets the call to go in and disarm a bomb," said Thomas. "He loves to fly in his cape and save the day." Obande credits Terrell with saving his legs but thinks of him more as a good friend and a brother. He said his day is not complete without seeing him. "He is wonderful, I have no complaints," Obande said. "Some days are tough, but I know I will walk again and get my life back. I didn't know that two months ago."